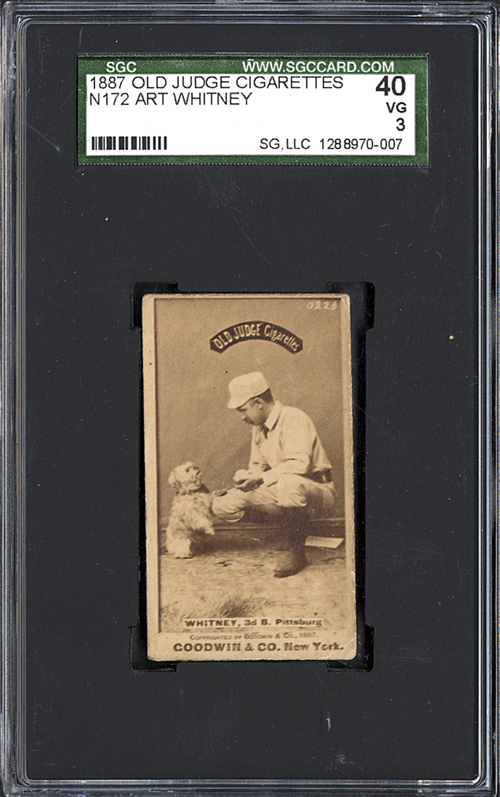 Lot # 44: 1887 N172 Old Judge Art Whitney with Dog - Card Intended as a Joke! Graded VG 40 by SGC. 1887 N172 Goodwin Old Judge card featuring one of the most unusual and memorable images to ever appear on a baseball card of New York third baseman Art Whitney kneeling with a dog. While the pose of this card alone makes it one of the most interesting images to appear in the Old Judge set, there is actually a story to this card which explains its significance. This photograph was apparently taken and included in the Old Judge set as a joke. Whitney was notorious for switching teams. Rarely has one player jumped from team to team as much as Art Whitney. Starting with the Worcester Nationals in 1880, he moved on to the Detroit Nationals in 1881, Providence in early 1882, back to Detroit late in 1882, on to Pittsburgh of the American Association from 1884 to 1886, before moving to the Pittsburgh Nationals in 1887, and then to New York in 1888 and 1889. Between 1890 and his last season in 1891, he added another three teams to his resume. Whitney is posed with a dog in this photograph as a study of two extremes, with the dog representing the most loyal of all animals, and Whitney representing the opposite. 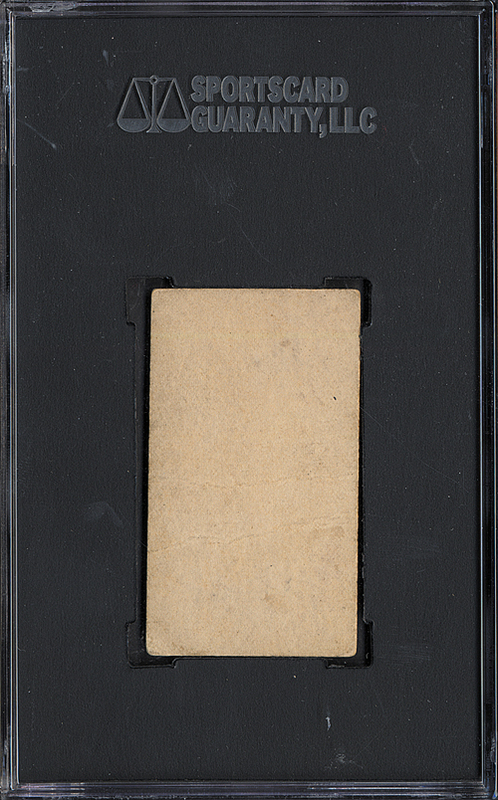 This card is one of the highlights from a larger collection of N172 cards, which we have broken down into several smaller lots in the auction. Superb photo quality, even wear on the corners, two light creases visible primarily from the reverse (held to the light in the right angle, we can see them from the front), and centered towards the top right borders. This is a very attractive example of one of the most interesting of all nineteenth-century baseball cards. Reserve $200. Estimate $500+.